following the last freeze in Spring and prior to the first freeze in the Autumn. 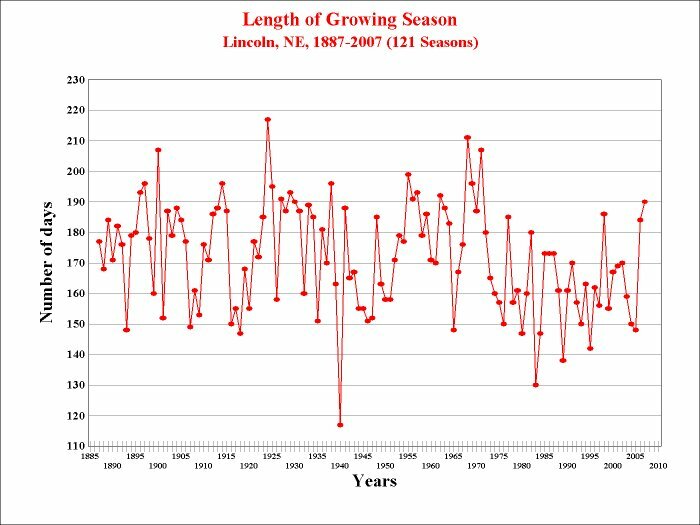 for a growing season of 190 days (18th longest growing season since 1887). 121-year, 1887-2007 average growing season length: 172 days. Standard 30-year, 1971-2000, average growing season length: 162 days. The last 30 years, 1978-2007, average growing season length: 161 days.